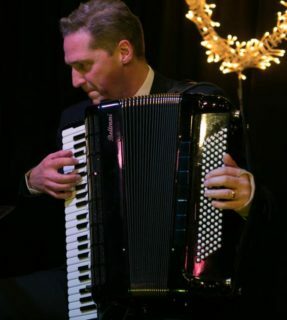 Sacha Boutros – Celebrates new Album Release ‘New York Après Minuit’ in London’s Pizza Express, Soho with her ensemble and Romano Viazzani on Accordion. Grammy Nominated Sacha Boutros returns to London’s Dean Street Pizza Express in a one night only event to celebrate her newest release, New York Après Minuit. The collection is a savoury mix of jazz from the big apple and features Lewis Nash, Peter Washington, Terrell Stafford and other fabulous New York Jazz legends. Recorded in New York, After Dark. The album was released in France this year with a few bonus tracks in french. Known for hip, smooth, sultry and swinging phrasing as well as her witty and charming repartee while onstage, Miss Boutros is celebrated for singing Jazz, world music and the American Songbook in 14 languages as a global peace ambassador of goodwill through music. She uses music as a tool to bring people together at border countries and creates peace murals to build bridges between nations. Recognized by music critics, peers, celebrities, and musical legends, Sacha is one of the top jazz artists today. Introduced by the great American entertainer Frankie Laine as his “ingénue,” and as the protégé of the Legendary Red Holloway and James Moody Sacha has opened for and performed with Julio Iglesias, Marvin Hamlisch, Chubby Checker, Ann Hampton Callaway, Patti Austin, James Moody, Karrin Allyson and countless jazz greats throughout her 20 year career. An innovative and creative entrepreneur, solo artist, musician, producer designer, composer, artist and humanitarian. Sacha has gone from a few U.S. festivals to touring the world and back, to having her recordings hit the top 10 charts in Japan, itunes, e-music, to even receiving several Grammy nods for best Jazz and Latin jazz albums in 2008 and 2013 and designing a peace mural at the US Mexico Border. Recently Sacha was given 2 great honours in 2016 Jazz Musician of the Year by the SoCal Jazz Society and in 2017 International Jazz Singer of the Year in London. Currently working on her 5th Release in Paris she can be found doing shows in California, Hawaii, New York, London and all points in between. When she’s not writing, performing, or recording, she splits her time between San Diego and Paris and is heavily involved in philanthropic projects close to her heart. This entry was posted in News and tagged New York Aprés Minuit, Pizza Express Jazz Club, Romano Viazzani accordion, Sacha Boutros.